…family relocated to Los Angeles at the start of the year, we felt so fortunate to not only have found our perfect home, but to also learn that the sale of our home contributed to quite an amazing mission through our real estate agent's affiliation with Giveback Homes. Months after our move, I had the absolute pleasure of meeting the powerhouse Co-Founder of Giveback Homes, Caroline Pinal, and to learn more about this community of real estate professionals committed to creating social change by helping build homes for deserving families around the globe. TCB: I love the way you’ve incorporated philanthropy into a completely different industry…real estate. Can you share a bit more on the Giveback Homes model and mission? 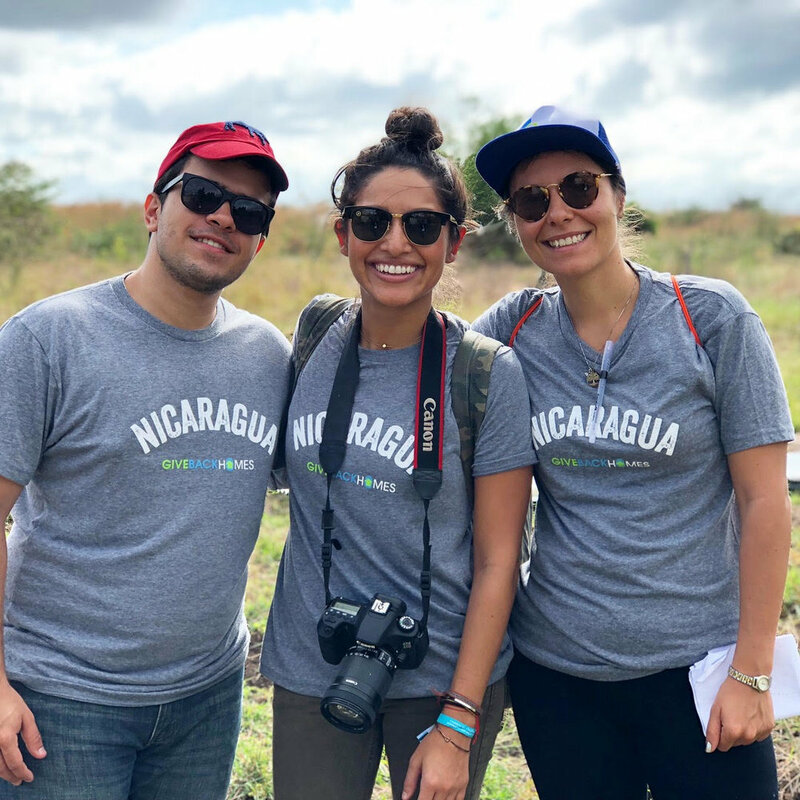 CP: Giveback Homes is a social good real estate company that has built hundreds of homes for people in need across the U.S., Nicaragua and Mexico. We work with real estate agents, brokerages and companies across the country to provide them with impactful volunteer opportunities and projects to donate to and support. We also offer our community of real estate agents with marketing and communication tools to help share their philanthropic endeavors with their clients, friends and family. …You were previously at TOMS; how did that role and experience lead you to the work you're doing with Giveback Homes? CP: Prior to starting Giveback Homes, both myself and Blake Andrews, Giveback Homes Co-Founder, were working at TOMS shoes and saw firsthand how a pair of shoes can impact the life of children in need. A few years later, while Blake was going through the process of buying a home, he had the idea of applying a similar TOMS model to the real estate world, and together we founded Giveback Homes. My experience at TOMS working on the sales and retail marketing team had everything to do with the trajectory I’m on now. It’s where I experienced my first Giving Trip, it’s where my manager at the time encouraged me to think bigger, and it’s where I met my now best friend and business partner, Blake Andrews. TCB: What are the different ways people can get involved with Giveback Homes? Real estate agents, brokerages, and entire real estate companies can all be part of the Giveback Homes movement. Together, we work to find a giving model that works best for them and help them reach their giving goals by connecting them to affordable housing projects in their communities and throughout the world. Homebuyers and sellers can get involved by simply choosing to work with an agent who is part of Giveback Homes or make a direct donation. And we are always looking for more corporate sponsors to help fuel the movement too! …This must add an entirely new layer to the brokerage firms and agents’ love for what they do. How have they said their involvement with the organization has impacted their careers and/or personal lives? TCB: Beautiful, and couldn’t agree more! Before we wrap up, can you please share what's on the horizon for Giveback Homes? CP: We will continue to encourage real estate agents to join the Giveback Homes movement and working with real estate companies to develop more Giving Programs, like the Concierge Key For Key® Giving Program . It takes a really special leader with an enlightened way of doing business to truly understand the value of a giving program. We want to work with people who “get it.” We also just announced our Advocates for Social Good Program, which is a group of rock-star Members across the country. The Advocates meet once a quarter to strategize on social good projects and mobilize other industry professionals through their engagement. We’re really excited for what they accomplish and steer us towards.